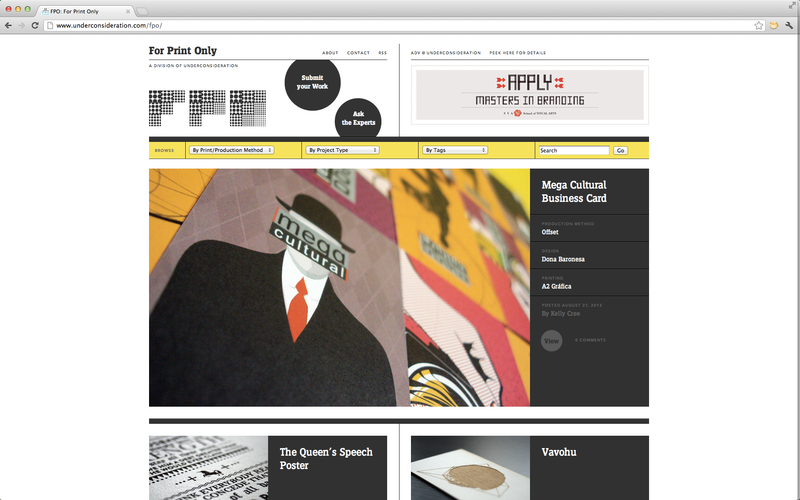 The Queen's Speech Poster featured on FPO | Better. We are very proud, and of course very excited, to hear that our recent Queen’s Speech poster campaign has been featured on FPO (For Print Only). Launched in 2009 — and now in its second version as of March, 2012 — FPO (For Print Only) is a blog dedicated to the visual stimulus and the detailing of the development and production of printed matter: Annual reports, books, business cards, stationery suites, collateral materials, posters, packaging and anything else where ink meets substrate. Our unique and hand-crafted limited edition posters and commemorative downloads are inspired by some of the most inspirational, quirky and amusing quotes from the speeches that HRH Queen Elizabeth II has delivered during her 60-year reign.The design combines typographical techniques with the delicate monochrome illustrations of true British icons. 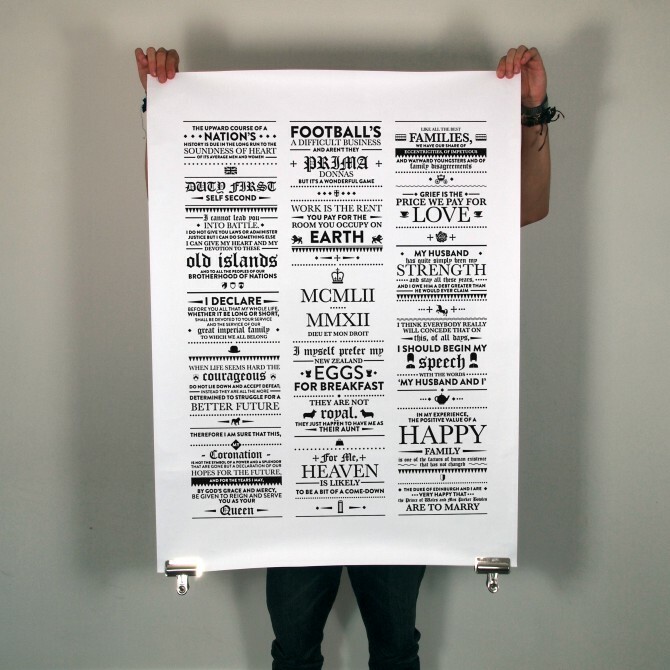 Each poster has been screen printed, by hand, in black onto 100% recycled hand-made paper and then individually stamped, signed and numbered. 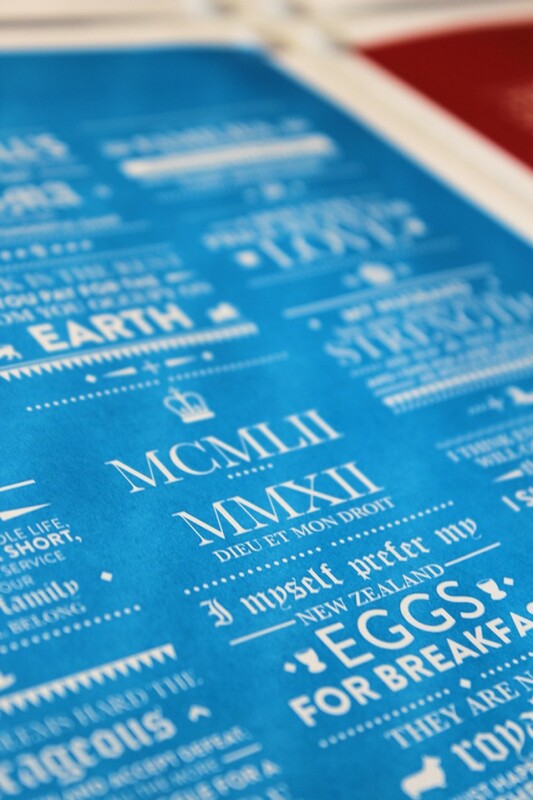 Better Brand Agency combines succulent screen-printing on recycled paper with delicate, iconic illustrations in this typographic self-promotion poster inspired by some of the most inspirational, quirky and funny quotes from Queen Elizabeth II of the United Kingdom during her celebrated 60 year reign. Read Full article on FPO.